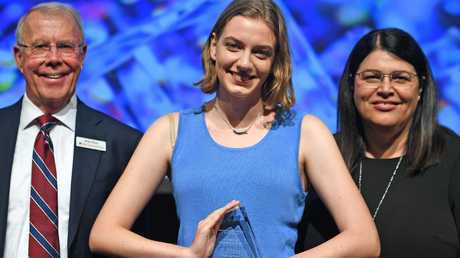 QUEENSLAND'S smartest kids were celebrated at a ceremony in Brisbane today, with Indooroopilly State High School student Maya Lamont crowned the top student in the state. Ms Lamont was awarded the Outstanding Academic Achiever Award for her 2018 academic performance, which included exceptional results in seven subjects and a university subject. Taking home a total of $5000 for her achievement, Ms Lamont said she was passionate about social and environmental issues and though uncertain of her exact career path, hoped to work in environmental law or government policy. "I owe my success to the support, commitment, positive attitude and good humour of my family and friends, as well as my teachers," she said. A total of 34 students from 23 different state, Catholic and Independent schools across Queensland were awarded today, putting them at the top of the class of more than 50,000 Year 12 students in 2018. Queensland Curriculum and Assessment Authority chief executive Chris Rider said the awards highlighted the strength of the education sector in the state. "All of today's award winners should thrive at university and go on to make valuable contributions in careers ranging from robotics, engineering and medicine to education, law, journalism and veterinary science," he said. 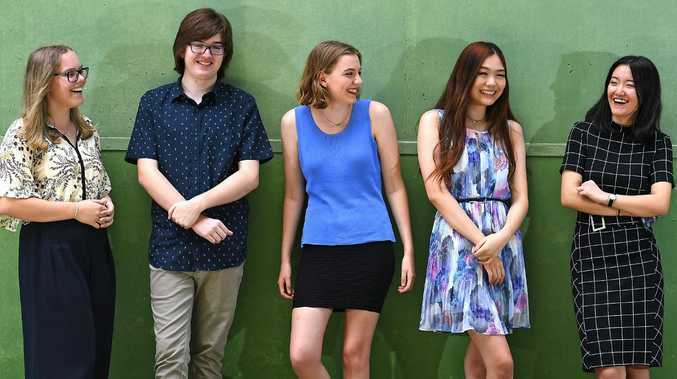 Somerset College student Grace Kennett achieved the highest result on the 2018 Queensland Core Skills Test, Queensland Academy for science mathematics and Technology student Serena Chen won the award for the Highest Achievement in the International Baccalaureate, Citipointe Christian College's Enle Yin won the award for the Highest Achievement by an International Student and Mount Gravatt State High School student Jayden Webster was awarded the Highest Achievement by an Aboriginal Student or Torres Strait Islander Student.